Late summer and fall weather should remind us all of schools returning to session. 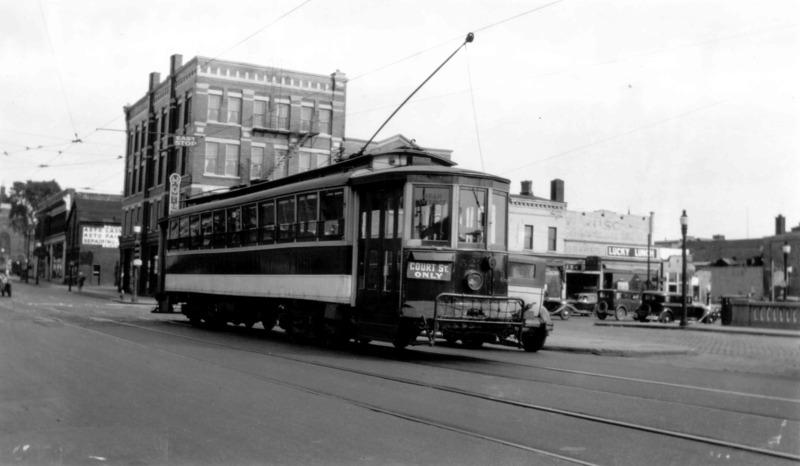 While school buses are now prevalent, it appears from a recently-discovered photograph that Rochester’s streetcars once carried students, too. As the private car “Genesee”, car 523 had once been the haunt of Rochester Railway Company executives and their guests. Built in 1900, the car soon was numbered 403 (then 36, and finally 523) and demoted from its lofty status to that of a regular-service city car. By the 1930s, with streetcar riding slowly diminishing from the effects of the Great Depression and automobile usage, 523 slipped to a once-a-day run, the afternoon school trip. Photographer Holland, who made our view of 523 on October 5, 1934, recorded that the car left State Street Station at 2:36 and was back in the barn at 3:52. 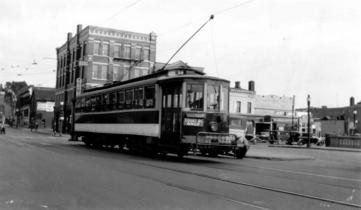 Here, 523 pauses on Court Street just west of South Avenue, a point its COURT ST. ONLY sign suggests was its terminal. We do not know what route the school car might have made but one can imagine it running between several schools on streetcar lines and downtown where connections could be made to all of Rochester’s streetcar lines. Such school car runs could not have lasted long for 523. Photographed by a railfan in October, 1936 at Blossom Road Yard, ready for scrapping, car 523 surely met its fate soon thereafter.